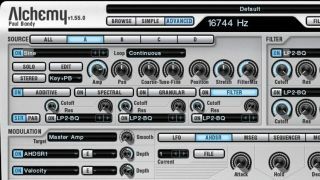 Alchemy is Camel Audio's flagship synth. Respected plugin and mobile app developer Camel Audio has announced that its products are no longer available. In a statement posted on the KVR forum, the company said: "We would like to thank you for the support we've received over the years in our efforts to create instruments and effects plug-ins and sound libraries. "Camel Audio's plug-ins, Alchemy Mobile IAPs and sound libraries are no longer available for purchase. We will continue to provide downloads of your previous purchases and email support until July 7, 2015. We recommend you download all of your purchases and back them up so that you can continue to use them. Thank you again for your support." We've contacted Camel Audio for confirmation that this is indeed the end for the company, which is known for its excellent Alchemy synth (voted one of the best plugin synths in the world today) and 'Camel' series effects. We're sure we echo the feelings of many computer musicians when we say that we're sad to see it go; if you are a user of its products, make sure you follow the advice to download and back up your software on the Camel Audio website.